France (Rouen); Late 14th Century. Latin Text; Angular Gothic Script. The dark slate-colored ink used for the text of this leaf has been worn away over the years, sometimes significantly; this, combined with the angularity of the script, makes reading it rather difficult. The decorations are few but are neatly done; even small decorated bars or letters are illuminated. 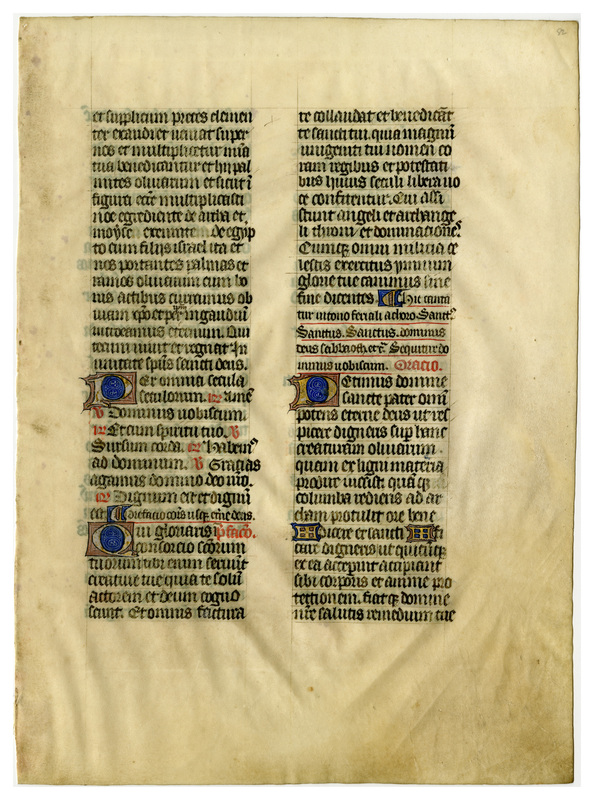 A distinctive presence of color is achieved by red underlining, which is extensive in some places. 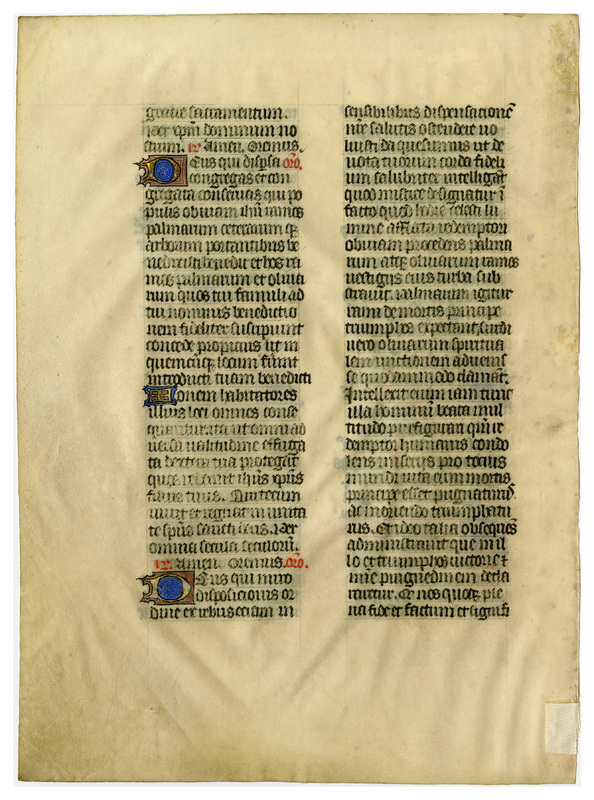 “E0026 Leaf from a Missal (Missale),” Digital Exhibits | Denison University Archives & Special Collections, accessed April 23, 2019, http://exhibits.denisonarchives.org/items/show/48.